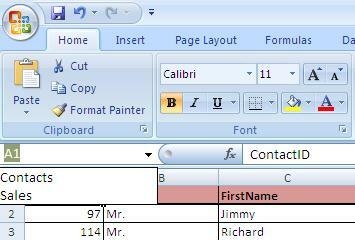 Importing records from an Excel is a very simple task. 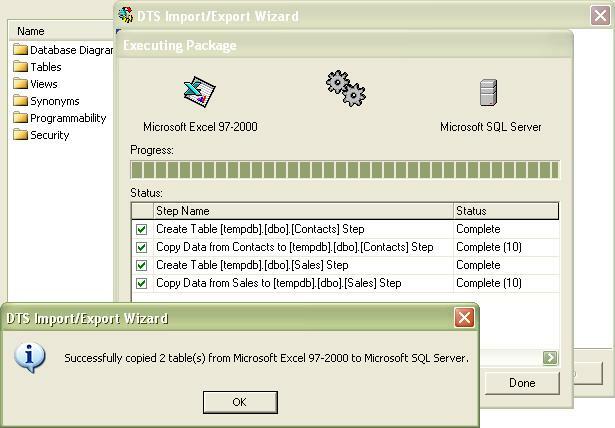 Load your data in Excel with appropriate headers and Run the Import/Export Wizard, your records are transfered from Excel sheet to a MS SQL table. But what if a single Sheet contains multiple record sets with variable headers. Like First 100 rows of Customer data with 10 headers. Then just below 50 rows of Order data with less than 10 or more than 10 headers. 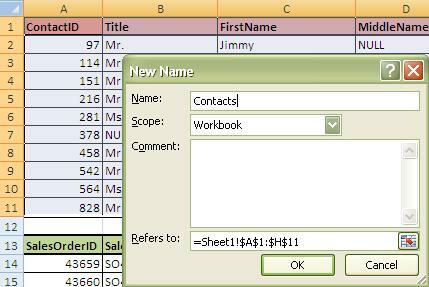 Now select the Contact recordset including headers as shown in Fig-2 and right-click and select “Name a Range…” option. Fig-3 shows a pop-up box where you can apply and provide a name for that range selection. Similarly repeat this for Sales Order recordset as shown in Fig-4. Now you can see 2 named ranges Contacts & Sales in the dropdown in Fig-5. Now we are ready to Import the data. 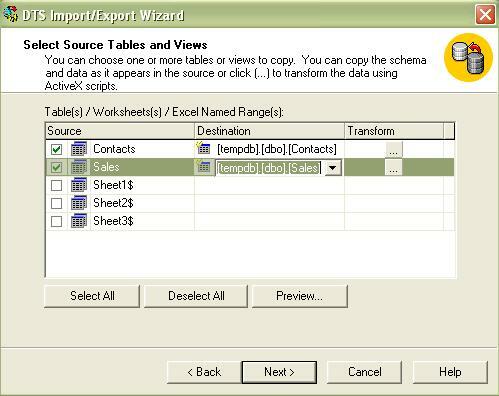 As shown in Fig-6 the Import/Export wizard detects the named ranges and explicitly shows them as Source among other 3 sheets of your Excel file. Simply select both of them and make the required changes as you do for Sheets and click the Next button. 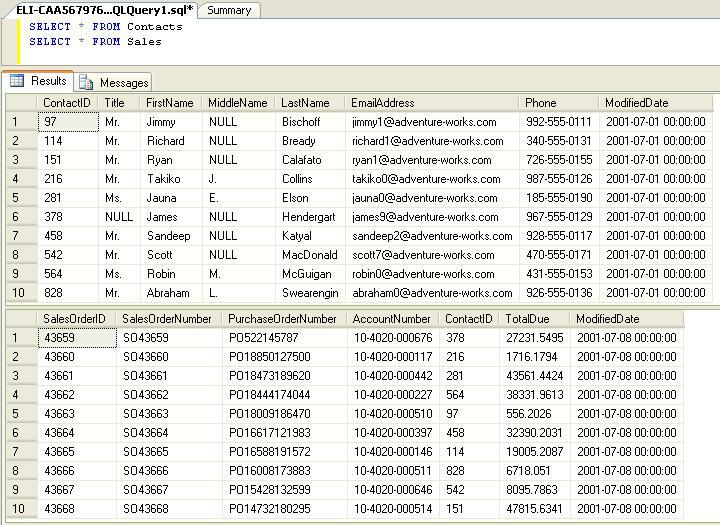 Fig-7 Shows both the tables created & data loaded in SQL Server.